Saab, Aptera, Think: Can China, Russia Save Electric Cars? Last week, something miraculous happened: after more than a year of being prepped for burial, Saab rose from the dead. Of course, there had been previous attempts to revive the quirky car company -- notably, one led by Chinese investors Pang Da and Youngman (subsequently, a Chinese bank and Youngman). However, General Motors 86ed those efforts, because even though GM no longer owns Saab, it does own much of Saab's technology. Given China's passing acquaintance with intellectual property laws, GM worried that selling Saab to a Chinese conglomerate would be like publishing its trade secrets on Wikipedia. Saab's potential new owner is National Electric Vehicle Sweden AB, which sounds European but is, in fact, backed by one firm from China (National Modern Energy Holdings, Ltd.) and another from Japan (Sun Investment). To the best of our knowledge, GM hasn't commented on the proposed deal, but the company may be willing to let it slide for one big reason: the new Saab will be an electric car company. The deal is still in its very early stages, but reports hint at a reborn car company that will maintain many of the Saab design elements we've come to know and love/loathe. Beneath the hood, however, will be an electric car with little if any legacy technology from GM. No GM tech, no GM worries. If the deal goes through, fans will get their beloved car brand back, electric car junkies will have a new marque to gush over, and GM's technology will remain protected by American law. But thanks to an article from Pike Research, we began to wonder if there weren't more to this story than simply the reinvigoration of a beloved auto brand. You see, National Electric Vehicle Sweden AB was formed because Chinese and Japanese investors are betting heavily on the electric car industry. And why should they spend years creating and launching a new brand in a crowded market when they can just take over an existing company and rework it? More importantly, Saab isn't the first company to which this has happened. 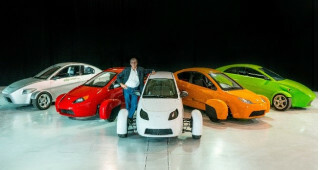 Last year, Think -- the maker of the Think City electric car -- was sold to Electric Mobility Solutions AS, which is backed by Russian plutocrat Boris Zingarevich. 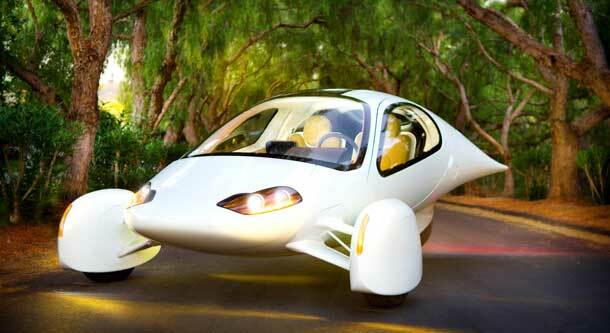 And just last month, Aptera -- known for its three-wheeled electric vehicle that looks like something out of The Jetsons (minus the power of flight) -- was bought by a group of investors headed by the Jonway Group, a Chinese firm that owns another electric car company, Zap. During Communism's heyday, the Western world was enjoying a petroleum-fueled auto boom. Auto companies proliferated, competition was fierce, development was fast and furious. By the time that Communism began to fail -- around 1990 for the Soviet Bloc and a few years later for China -- the auto market was saturated. Russian and Chinese brands couldn't compete against rivals that had been evolving for decades under the demands of consumer-driven economies. Even though we're driving less nowadays, there's still plenty of money to be made in automobiles; the question for Chinese and Russian investors is how to make it. The answer is simple: get ahead of the game. There are a lot of people placing a lot of bets on the future of the auto industry. Electric vehicles may not be profitable tomorrow, but in the coming years, they're going to be an increasingly safe wager. So, many long-term investors have their eyes locked on the electric car market. On that front, China and Russia are ideally positioned for success. Their companies don't carry the baggage that many Western automakers do, meaning that they're more open to experimentation. And China and Russia are home to quite a few wealthy investors, eager to become even wealthier. So, while it could be a complete coincidence that Chinese and Russian moguls have turned their attention to electric cars recently, it's possible that this is the shape of things to come. These investors could be laying the groundwork for leading the future EV market -- and without having to reinvent the proverbial wheel (or a car brand). Are they on track? Could Russian and Chinese brands dominate electric car lots the way that American, European, and other Asian brands do now? Or is the existing competition from Western companies insurmountable? Or, more importantly, are we way off base? Drop us a note, or leave a comment below.